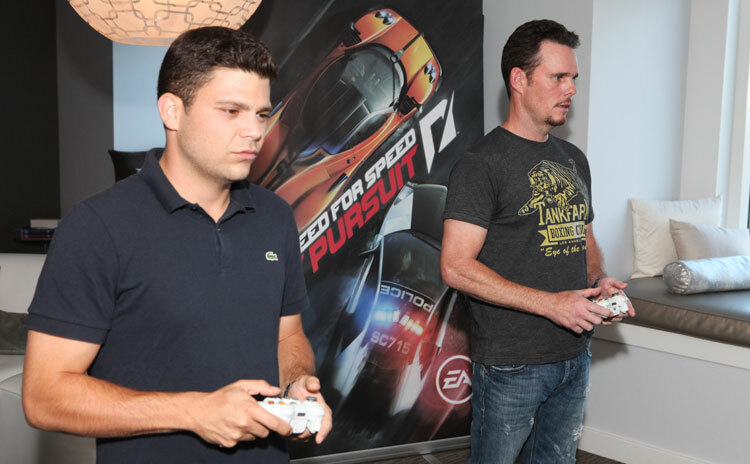 Before filming the eighth and final season of HBO’s hit TV series, “Entourage,” actors Kevin Dillon (Drama) and Jerry Ferrara (Turtle) reprised their characters in a series of viral videos for Electronic Arts’ Need for Speed: Hot Pursuit game. With the seventh season now on Blu-ray and the final season airing on HBO, the Entourage stars still have game. The actors talk about their love of fast cars and video games. What are your memories of playing video games back in the day? Kevin Dillon: Well, I’m an old guy so I started out playing Pong with my brothers, and Mario Bros. and whatnot. But we really got involved and got intense when Tecmo Super Bowl came out. That’s when we really started playing video games and it got intense. And then it continues on. I mean, we still to do this day every time I go back to my Mom’s for Christmas and whatnot, we’ll fire up some video games and start battling it out. Jerry Ferrara: It’s a similar thing with my brother. That’s how we decided who would get to play the video game. We would have a competition with a game and whoever won then got an hour of free game time where the other person couldn’t bother them. I was a big Mike Tyson’s Punch-Out guy. I still remember the code to get up to Mike Tyson — 0073735963. So it started there, and then obviously its evolved to this crazy place of multiplayer and Xbox Live and PlayStation Network. So now there’s just competition everywhere. What are your thoughts on how far games have come since then? Jerry Ferrara: They’re way more advanced than those older games. The graphics are so much better in these games. Those older games are great, but this is like taking it to a whole new level. In games like Need for Speed: Hot Pursuit you really feel like you’re in a car driving through cities and it’s unbelievable. Kevin Dillon: Yeah. If you handed one of the older games that we referenced to a teenager now, they would be offended knowing that this was out there and that we handed them something like that. It’s just that they don’t know the history. It’s a whole different world. What types of games to did you guys play on the set of “Entourage”? Kevin Dillon: We did quite a bit of gaming. We played a lot of those war games, Medal of Honor and Call of Duty, in the trailers in between scenes. Call of Duty we kind of played with each other. You get to hunt each other down too, though. But next season we’ll be doing Need for Speed: Hot Pursuit. Because this we can really battle on. Jerry Ferrara: Well, that’s the thing, too. It has to be a game that you can play a quick race on, because sometimes we only get a five-minute break. You don’t have a lot of time, so you can jump in and play a quick race and then go back. It’s tough to play those games with big story modes that you have to lock into. You don’t want to play those two or three minutes at a time. So this is the kind of quick version gameplay that we can really enjoy on set next season. What do you think it says about video games as an art form that they now have blockbuster opening numbers with Call of Duty and Hollywood-style commercials? Jerry Ferrara: It’s a big bank. There’s a lot of money involved in video games. And you get a lot of bang for the buck if you think about it. If you buy a movie for about close to the same price, or maybe two movies, you can watch them probably once or twice. You can play video games over and over again. So you really do get a lot of entertainment for the money. Kevin Dillon: And it just goes to show you how many people are playing video games that they put out box-office type numbers. It’s a pretty lucrative business, and a lot goes into them. These games aren’t just thrown together overnight, like “here you go.” So I think it’s kind of cool that they track numbers and it’s done in like a box-office style, and publicity commercials. Because you are doing box-office type numbers, so it has to be paid attention to. 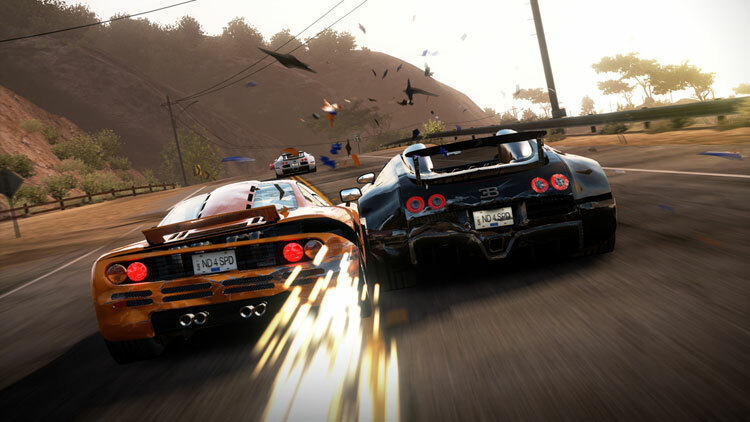 You guys worked with EA on Need for Speed: Hot Pursuit. What do you think of racing games in general? Kevin Dillon: You know, I’m kind of new to the racing game thing. I’ve always been like a shooter game kind of guy. But working with EA actually brought me over into the racing side of it. Because it’s a lot of fun. Jerry Ferrara: Yeah, I’ve always been a fan of racing games. There’s been so many over the years that it’s hard to find one that you really can really lock into. And Need for Speed is one that you can really lock into. Need for Speed has sold over 100 million copies worldwide. What do you think the appeal is for this franchise with guys? Kevin Dillon: I think there’s a fantasy element to it. Not everyone gets to drive around in a Maserati and Bugatti and whatnot. And they also can’t drive at 180 miles per hour and have an accident like that. Some of the accidents are some of the most intense thing I’ve ever seen in this game. Wipeouts are the best. Jerry Ferrara: Yeah. You find yourself feeling really feel bad that you just wrecked the Maserati. I better get a new one. Jerry Ferrara: It was a ’91 Thunderbird which I saved up all my money for. And I totaled it about three weeks later. I got into an accident. It wasn’t my fault. Although, there are some other people who disagree with that. 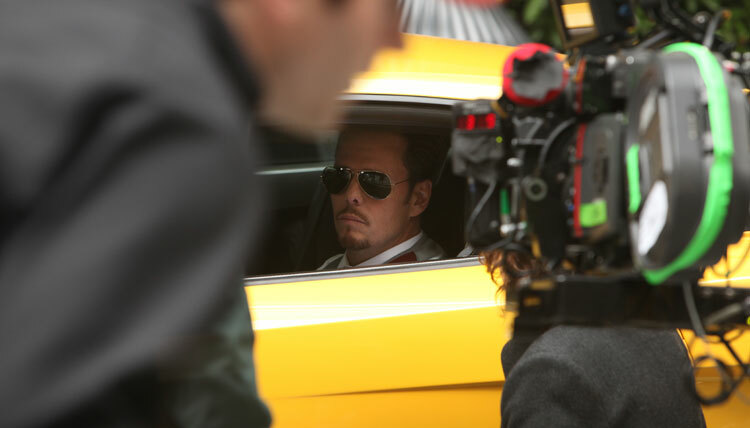 Kevin Dillon: I also totaled my first car, which was a ’67 Firebird convertible. Someone pulled out of their driveway and smashed into the side of me. I had no insurance, it was bad. Don’t ask why I didn’t have insurance. I should have had insurance. But we used to drive without insurance. What’s your favorite car that you’ve ever driven? Kevin Dillon: That’s tough because we’ve gotten to drive so many great cars on “Entourage.” I’m going to have to go with the Ferrari California. 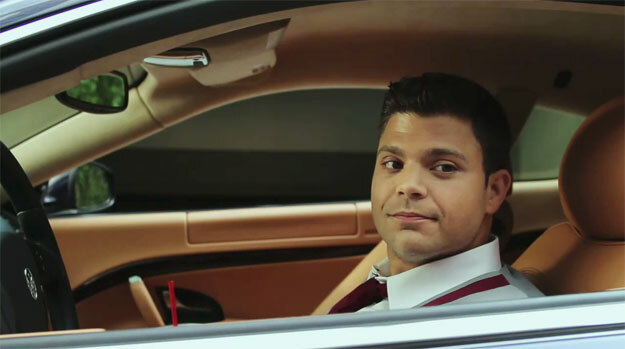 Jerry Ferrara: I will not discount the Ferrari California because you can’t. But those Aston Martins are pretty cool, the Maserati was actually great to. Basically, every car I’ve ever driven besides the ones that I’ve owned has been on the show. Any one of those cars is great, we have fantastic cars on the show. What would your dream car be if you could own anything? Kevin Dillon: I’ve always wanted an old Vette..like a ’67 Stingray is the car I’d want. Jerry Ferrara: I wouldn’t be too disappointed with the Ferrari California. I’d be happy with that. I’d rather the California from Ferris Bueller’s Day Off. Remember that one? Kevin Dillon: That was sweet. Jerry Ferrara: That was a good one.